If you've been considering purchasing a portable mobile broadband router to share the connection from your 3G or 4G WiMAX USB modem, now is the perfect time! For a limited time, 3Gstore is offering the battery-powered PHS300 for just $79.99, plus we are including a FREE second battery ($29.95 value!). Each battery lasts up to 2 hours, so you'll be able to enjoy internet access on the go without the need to hunt for a power outlet! NOTE: this promotion will only be available while supplies last... so don't miss out! 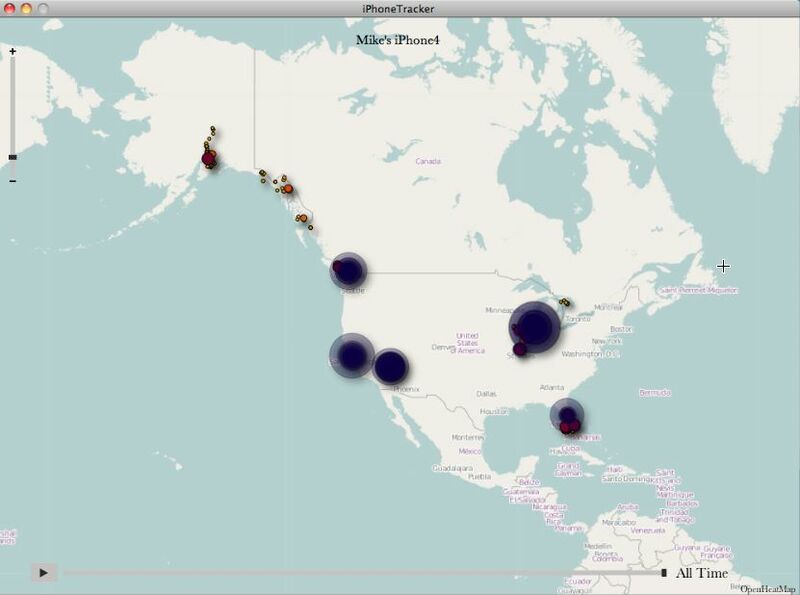 Looks like Verizon LTE is down across the USA right now. Verizon 4G / LTE has been off to a rocky start since they launched in December 2010. Hopefully, this is brief outage and they are upgrading/fixing some of the reported problems that some people have been seeing. For those that haven't heard, here is a link on "Eating Your Own Dog Food" and currently the 3Gstore's warehouse is eating some right now. This all started last Friday when our cable internet connection went down. We have had a manual fail over solution in place, using a very old 3G router (not sold any more) and it involved unplugging an ethernet cable, inserting an active 3G data card in this router and waiting a few minutes and then we would be back up. But wait, we sell and support some pretty cool 3G/4G Routers that support automatic failover. So, if the main cable connection goes down, it automatically switches to 3G in seconds. 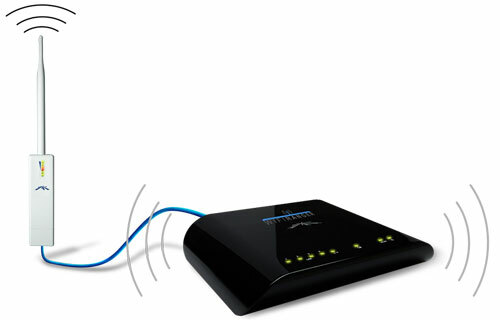 Some of the routers even offer failover to WiFi, so that gives us another option for staying connected. So, over the next few weeks will be be using the routers that we sell and some new ones from new companies that we do not yet sell and test these routers in a live environment. We will report in a few weeks which routers met our needs and report what we found. Needs to also failover to WiFi using "WiFi as WAN"
Stay tuned for our test results in a few weeks. The new WFRBoost Fixed Kit, available today, is an accessory for the WiFiRanger Pro that greatly enhances the router's ability to connect to distant WiFi networks - while the WiFiRanger Pro can connect to networks that are up to 75 meters away, the WFRBoost allows you to connect to networks up to 300 meters away! 30 days in at 3gstore... Well, to begin with I have to mention that this is far and away the most team-oriented workplace I have ever experienced. From my bosses to my coworkers, a work environment this helpful is something completely new to me. Before I get ahead of myself, I guess I should start out with a little bit about my background. I couldn't have come from a more different profession. I have been a personal trainer for almost a decade and I enjoy it immensely. I absolutely feed off of the immediate gratification of watching clients, from all walks of life, achieve goals they didn’t think were possible. However, I have to admit I wasn’t completely satisfied, and there was always a lingering feeling that there was always something else out there for me. You see, like most people of my generation, technology has been a part of my life as far back as I can remember. Coming from a family of engineers and programmers, I feel that I’ve had a somewhat of a unique insight into the word of cellular technology. I spent as much time playing catch with my dad as I did building and taking apart computers and TVs (even a few VCRs, for anyone that remembers them! ), wiring switches and receivers, and, of course, HOURS at Radio Shack. I was always encouraged to ask as many questions as I needed until I fully grasped the concept I was learning. As a boy, whenever possible, I’d tag along to my dad’s lab in Motorola's Cellular Division, observing, learning, bugging the other programmers, but most importantly (and unbeknownst to me at the time), getting a front row seat of cell phone and Internet technology from its infancy. What started out as just a way to spend time with my dad very quickly became an integral part of my upbringing. Simply put, I was hooked...and, given my fortunate position, I got to tinker with every gadget Dad brought home until it was absolutely necessary that it be returned. Fast forward about 15 years, and here I am at 3Gstore, doing professionally what, for years, has been a hobby (ok, an obsession). Obviously, so much has changed, but seeing it all develop right in front of me from such a young age has made it instinctual to attempt to understand every new development in a world where Internet connectivity is expected from most people, at all times. Through the years, I still don’t hesitate to ask questions, albeit many times more complicated then they used to be, but, more often than not, I am the one answering them instead of asking. Now that I have the 3Gstore family as a resource, my family, thankfully, gets a break. When this opportunity at 3Gstore was presented by a friend, I was already well aware of the company. After doing some research what really blew me away was their reputation and the level of satisfaction the customers had. I looked at it as a great opportunity to turn my somewhat obsessive hobby into a career. Well, a month in and I can say that accepting offer to join the company puts a smile on my face at the end of every day. I’m learning something new everyday - check that, more like every hour. And, most importantly, I have not once been told to sell/advise a single customer anything that would not benefit them in the interest of our bottom line. In fact, outside of just typing those words, “bottom line” hasn’t been mentioned once, by anyone here. This is a rarity - in fact ,anyone in sales will have a hard time believing that last sentence. About the sternest warning that’s been given to me has been,”if you know there is no way for us to help the customer, for whatever reason, do NOT sell them anything at all.” Again twilight zone talk for those in a typical sales environment. My focus now is simple: helping people become/stay connected and helping make sure the products we sell are thoroughly tested and do everything they claim to do. In an age where it is practically a right to have Internet access, being able to make that a reality for people is truly a meaningful endeavor. That itch I used to have to be in this business has been replaced with the reality that I am now responsible for making sure everyone I talk to has the ability to get online. And I’m grateful for it. I’m so thankful to have become part of a team that has a SUPERIOR knowledge of the field, and eager to impart that knowledge on me. Its actually a pleasure going to work everyday, knowing that, regardless of what new issue I might face with someone, I have the support of such a helpful group...I look forward being as helpful to my coworkers as they have been to me. I would imagine a few things will happen soon. First of all, Apple will remove this feature in a future version of iTunes or iPhone iOS (BTW, iPad 3Gs store this info too). I also expect that there will be some pretty cool apps that will come out that provides even more details. For example, where was the phone last Tuesday at 8PM. I suspect there may be some nervous spouses out there. Can I Play the PS3/360/Wii with 3G or 4G Wireless (Online Gaming)? A common question we hear from customers who own or are considering owning a 3G or 4G mobile broadband modem is "can I get online and play multiplayer games?" The answer is yes, you can get online to play your friends! 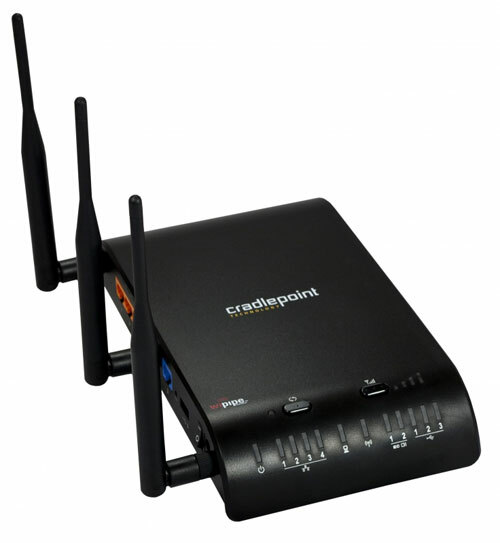 To get your 360/PS3/Wii online via your 3G or 4G connection, you'll need a Cradlepoint, Nexiara or WiFi Ranger router, which allows you to provide connectivity to multiple devices and optimize your connection for gaming. In fact, when you purchase your equipment from 3Gstore.com you have access to our exclusive gaming tip sheets and technical support for free! The 3Gstore evaluation team is currently testing a wireless amplifier that covers the Verizon 4G LTE frequency (currently there are NO amplifiers available that are capable of improving the LTE signal). Our testing is not yet complete, but initial results look VERY promising: in one location, our tester's LTE download speeds SKYROCKTED from 4mbps to nearly 20! 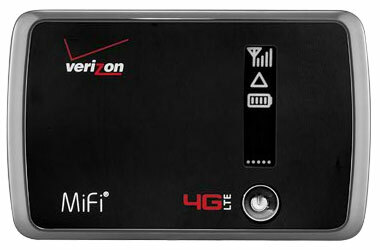 The Novatel MiFi 4082 for Sprint is now in stock at 3Gstore! We will be testing more next week, but our initial impression was positive - like its predecessor, it's sleek and easy to use, and the ability to connect to 4G is an obvious upgrade. Read our MiFi 4082 "first impressions" article - continue to check back as we will update this article as we continue our testing next week! PS: we are working on getting an extended battery for the MiFi 4082 in stock (like the extremely popular one we carry for the MiFi 2200). If you're interested and would like us to contact you when it's available, enter your info here: Notify me when the MiFi 4082 battery is in stock! We have received a report from a customer who had their Pantech UML290 LTE modem who had it working great with his Nexaira BC2 3G/4G Router and after upgrading to firmware L0290vzw333f.230, the BC2 refused to work with the UML290. This firmware was released by Verizon in the last few days. Not sure if this impact CradlePoint Router users.